Twitter is a formidable marketing tool for small as well as large scale business enterprises if used in the correct manner. It can go a long way in generating potential sales contacts with persons or companies interested in your goods or services, strengthening your brand, and establishing key contacts with prospective customers. What really can be considered a huge obstacle in this regard is that in the absence of any followers, one cannot even imagine to get the above mentioned incentives. If you have a large number of Twitter followers, it does not only reinforce your connections. Neither are the followers on Twitter mere numerical figures. Twitter followers are of prime significance for enterprises. As a matter of fact, no less than two in every five marketers are of the view that they were able to attract the attention of their customers via Twitter. The paid advertisement feature on Twitter is a handy one for increasing followers on Twitter. However, in this article we’ll be concentrating on the approaches that can get your free Twitter followers. Obviously, the paid advertisement feature is clear enough (f course it does not let you buy Twitter followers) and should not need a lot of explaining to be carried out. Do not forget to add your experiences and valuable Twitter tips in the comments section below. Follow as many people as possible. According to statistical revelations, the more people you follow, the more followers are you going to end up with. It is very useful to schedule your Tweets using tools such as Hootsuite or FollowLiker. By tweeting at regular intervals, the probability of your content gaining more exposure and hence engagement increases manifold. This in turn will result in exponential increase in free Twitter followers. You can make use of a software such as Twiends to explore and discover relevant Twitter users to socialize and connect with. Once you get registered to the tool, more people affiliated with it and with similar interests and background as yours will be able to find you and follow you. It is very important to update and optimize your Twitter biography in order to get free Twitter followers. The Twitter users who will be interested in knowing more about you will obviously tune into your bio. Ensure that your Twitter bio is of professional grade, comprehensive and is able to effectively represent you and your company in the best possible manner. Usage of links is another important tip to increase Twitter followers free. Researches portray that tweets that include links generally get more retweets as opposed to those that do not contain links. It is crucial that you include relevant keywords in Twitter bio so that you appear in Twitter search. You should also include your city and region in your bio so that the local users are able to track you and follow you back. Another great way to get free Twitter followers is to use hashtags in your tweets. The posts that contain relevant hashtags are likely to get twice more engagement (How to Get 5X More Followers and More Retweets In 24 Hours). This will help you get more Twitter followers searching for the relevant keywords. You can increase Twitter followers free by asking to retweet. The tweets that contain expressions such as “Please retweet” are likely to be retweeted almost four times more. You can also discover people you know by uploading your email contacts to Twitter. Your email contacts have a high probability of following you back since they are your acquaintances in the real world. Including images in your tweets is also an effective way to get free Twitter followers. According to statistical analysis, tweets that contain images are likely to achieve 18% more engagement as compared to the tweets that are without images. You can get more Twitter followers by promoting your Twitter account on all the marketing materials that you produce. Your marketing material may encompass your business cards, brochures, signatures and your company website. By using a headshot in your profile picture instead of your logo can help you increase Followers on Twitter. It is human psyche that people do not want to follow a brand that has no face or representation. A real photograph of yourself gives a message that there is a real human being behind the brand that is seeking engagement with real human beings. You can also integrate content boxes on your business website using the Tweet This WordPress plugin. These boxes are very useful in motivating your website visitors to tweet your content. This increases the exposure of your website content and hence helps you get free Twitter followers. Another great way to increase Twitter followers free is to promote your Twitter account on your other social media platforms. You can improve your results by sharing discussions that are being carried out on Twitter on these accounts. Tweet on weekends is another effective methodology increase followers on Twitter for free. According to the research conducted by Dan Zarella, brands tend to get 17% more engagement on the weekends in contrast to weekdays. It is essential that you reference Twitter users in your tweets. When you are replying or referencing other users, use @mention to refer to them. When people are mentioned by their names, they are more likely to engage with your tweets. Integrate a follow button on your website so that visitors who traverse your website are able to find you on Twitter as easily as possible. Motivational or inspirational tweets are very effective in getting retweets from Twitter users. If you think that your response to a certain query will be useful, make it public. Rather than indulging in direct messages, prefer to share your knowledge and information for the sake of public. Do not forget to use @mention the person who has asked the query. When you write guest posts for other websites or blogs, include a link to your Twitter @username in the author’s bio. Keep a close eye at relevant discussions. Social Mention is a great tool that will help you find out what other users on Twitter think about your brand, goods, services and the overall market situation. Participate in conversations and discussions as much as possible to stay relevant. It is also an effective strategy to @mention influential Twitter users as and when required to get free Twitter followers. This can result in gaining their attention and if things turn out the way you expect them to, they might even start following you and retweeting your content in the long run. You can try out a number of methodologies for gaining the attention of influences to follow you on Twitter. You can also embed your Tweets in your website content. The tweets that have gained traction among users or contain useful information will instigate your website visitors to follow you on Twitter and hence may result in getting more Twitter followers. Share your opinion in Twitter chats since they are a useful way to engage with your current clients and prospective customers. When you follow the Twitter users you happen to meet during chats, they may also follow you back. Your most popular and informative Tweet should be pinned at the top of your Twitter stream. By presenting the best content you have on your profile, you can certainly attract them into following you. Ignitwit is a handy tool to look out for new followers. The tool gives you the list of Twitter followers that you should follow on the basis of the topics that you select. This tool, in fact, also lets you know if someone has not followed you back. This can help you unfollow those users who do not seem interested in your profile. You can also get free Twitter followers by asking your email subscribers to follow you on Twitter. Share with them the eye-catching topics, discussions and conversations that they can get access to simply by following you. This is an important approach. Rather than promoting your own content all the time, help other Twitter users out. Twitter is a social media platform that is dedicated to making connections, helping each other out and sharing content that is informative and relevant. It, in fact, is not about selling your products, goods or services. If people get an impression that you are there to help them out by sharing content that is of value to them, you can increase Twitter followers free organically. Twitter search is another great way to discover Twitter users who have interests similar to yours. Follow them, like and retweet their content and wait for them to follow you back. Take part in Follow Friday (#FF). Add followers at regular intervals of time and recommend others Twitter users others should follow. If you are someone who helps people get connected with each other, you are playing your cards smartly. You will definitely be able to get free Twitter followers organically. Also try to retweet the informative and relevant posts by influencers and share your opinions. Do not forget to tweet the same content a number of times. According to Moz, the estimated life span of a tweet is about 18 minutes. Now the question is whether all of your followers on Twitter will be present on Twitter during those 18 minutes? During a day, share your links on multiple occasions through tweets so that they get maximum exposure. You should also try to @mention Twitter users in your tweets and ask them for their opinions. This is yet another great way to get free Twitter followers. If someone has asked you a question by mentioning your name, you will definitely be forced to respond to it. Your other social media profiles should also feature a link to your Twitter profile. It is important that you reply to queries put forth by your followers. This is not only ethically correct but it also lets your followers know that you care for them and they will definitely be rewarded for following you. Tweet content that is full of relevant and interesting information and is able to capture the imagination of the people. This will allow you to increase Twitter followers free. This is a point that is self-evident but I have to mention it nevertheless. You may well go on to share your daily routines, what you are thinking to buy in this festeve season and what is your opinion about Trump’s election as the next President of the United States; this is all fine. But if the content you share does not gain traction among your followers, you won’t be able to see an increase in your followers on Twitter. Integrate a follow button alongside a counter on your website to make use of the social proof. Tweet at predefined regular intervals of time. Do not post a burst of tweets. According to a research conducted by Korean social media and marketing experts, a common reason for people unfollowing a number of Twitter profiles is a large number of tweets in a short span of time. The Twitter traffic is at its highest between 1pm and 3pm. Try tweeting in these couple of hours. This will definitely help you get more Twitter followers. Also get few more tips on reading our article on How to use twitter for beginners. Retweet with an open heart. People are always interested in knowing you as someone who instead of listening all the time, is willing to share and spread their views around. There is a positive correlation between retweeting someone else’s tweets and getting your tweets retweeted. This will naturally result in getting you free twitter followers. You can add questions in your retweets as and when required. This will increase their exposure and hence engagement with your followers. According to researches, news is one of the most retweeted genre of content on Twitter. Share news that matters the most to your followers. It is always a brilliant idea to offer your followers coupons at regular intervals of time. Almost 94% twitter users use Twitter to get access to discounts, rebates and promotional deals and offers. Do not ever try to buy Twitter followers that are not real. It certainly is a tempting proposition to pay for followers on Twitter that are not real. However, these followers are never likely to add any value to your enterprise. In addition, if you do go this way, it can result in the suspension of your Twitter account. You can use Followerwonk to look out for new people. It also helps you determine and figure out the processes that are likely to attract more followers on Twitter to your account. Discover your LinkedIn acquaintances and follow them on Twitter to get free Twitter followers organically. You can learn how to accomplish this task here. 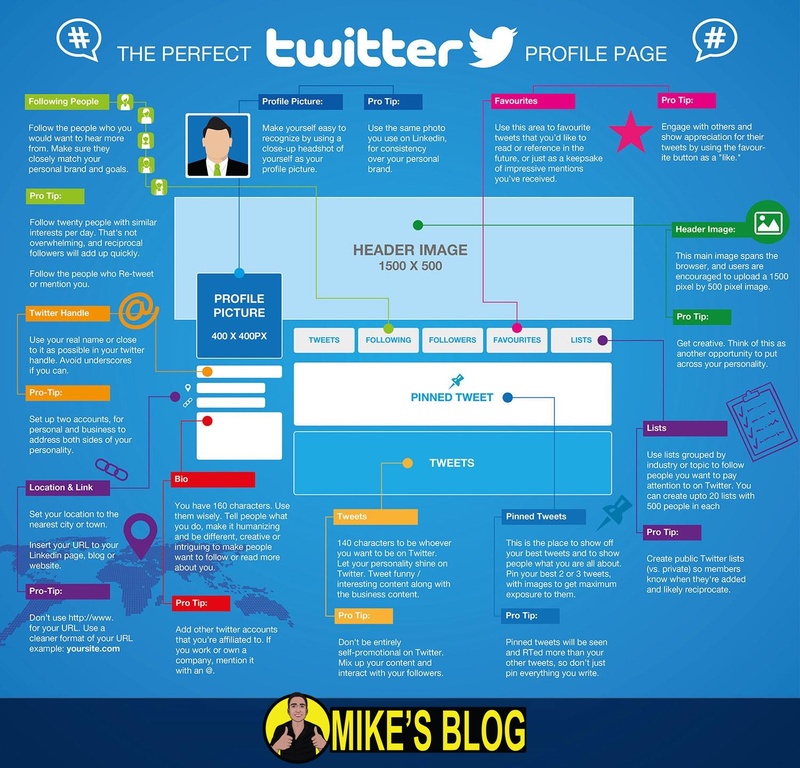 Ensure that every blog post on your website includes a tweet button so that your website visitors can find a way to connect with you on Twitter. Do not give emphasis to your own brand in your tweets. Tweets that include references towards yourself are less likely to be retweeted. Twitter cards is another great way to enhance the exposure and engagement of your tweets. Integrate a simple code to your website. Whenever your posts are retweeted, the images and videos along with it will also be displayed alongside the tweet. Words such as “you” , “twitter”, “please” and “retweet” have a high probability of being retweeted. Use them as much as you can in your tweets. Words like “game”, “going”, “haha”, “lol” etc., however, are not likely to get you many retweets. Here’s the most valuable and precious piece of advice if you really are serious about increasing your followers on Twitter: do not forget to tweet a diverse range of content that is relevant, full of valuable information and is in accordance with the interests of your audience. If you follow this simple rule, I promise you that you will get maximum clicks, retweets and free Twitter followers. This is not some complex scientific theory. It is common sense stuff and even small scale businesses with meagre financial budgets can expand their outreach and get more Twitter followers by sticking to this golden rule.